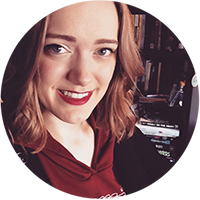 magical objects Archives - Hello, Kristina! I’m 2 for 2 now on 5 Fandom Friday! I’m on a roll. For those of you who don’t know what 5 Fandom Friday is, you can check it out here. 1. Invisibility Cloak (from Harry Potter): I’m actually sort of iffy on this one, to be honest. I KNOW I’d always run the risk of using the invisibility for bad reasons – spying, etc. You know you’d never find out anything you actually wanted to know that way. But I think that risk is worth it, because the real reason I want an invisibility cloak is to like, sneak into concerts or other events that are sold out or are extremely expensive. Though as I am typing this, I realize that picking The Doctor’s psychic papers would probably be a much simpler way of achieving this goal. Okay. I’m switching to psychic papers. 2. 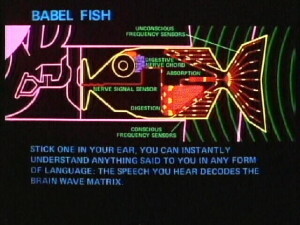 The Babel Fish (from Hitchhiker’s Guide): I think this one is fairly obvious. 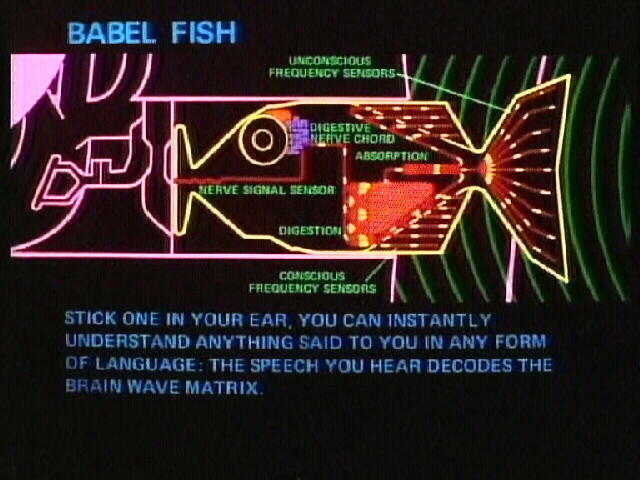 Being able to understand any language would be beyond badass. I don’t even think I need to justify this with any more explanation, I just wanna travel and this would make travel so much easier. 3. Transformation Brooch (from Sailor Moon): Okay, even if it like, didn’t actually work, you know? Even if the brooch only transformed me into a girl in a Sailor Scout costume, that’s still worth it. I JUST WANNA TRANSFORM, DAMMNIT. I wanna yell “moon prism power make up” and then I want jaws to drop because of the magical lightshow that engulfs my body. And then I want to be wearing a pretty sailor suit. 5. The Clow Deck (from Cardcaptor Sakura): This is sort of my catch-all final magical object, because really any power I didn’t get with my previous objects will be in here somewhere. A deck of 52 cards, each containing a different creature with a unique ability.. yes please. Flying, jumping, control of wind, etc. It’s all in there. Just don’t make me have to catch them all first. This was a surprisingly difficult list to put together, but I had a lot of fun. In a conversation I had with Joe about this after writing it up, he pointed out that I forgot to mention a Time Turner, which I immediately regretted. But! After thinking about it a little more. I decided I didn’t want one. While time travel would be amazing, I would definitely Hermione all over that thing. I know myself, and I would only use it to get more work done, and in the end that would not be a good thing for me. What would you pick? What would your magical items be? Let me know in a comment!